Your Naperville and Aurora, IL Chevrolet dealership is offering the stylish 2017 Chevrolet Cruze for sale now. Kelley Blue Books says, “The last-generation Chevy Cruze built a reputation for a quiet, comfortable and composed ride, and the new car holds that tradition. “ The 2017 Chevrolet Cruze LT elevates expectations in the small sedan segment. New interior and exterior features include upgraded headlights with LED running lights, heated mirrors, cruise control, steering-wheel-mounted phone and audio controls, and a six-speaker audio system with satellite radio. The Cruze LT also offers optional keyless entry and ignition, heated front seats, an eight-way power driver seat, and remote engine start. Contact Chevrolet of Naperville to schedule your test drive! Finance the 2017 Chevy Cruze LT Today! You’ll find an array of strong options at Chevrolet of Naperville, including the 2017 Chevy Cruze LT. Talk to our knowledgeable staff to learn about your trim, financing, and lease options. Fully experience the Cruze LT with a test drive. 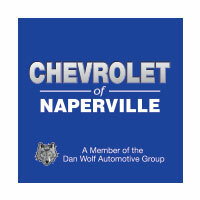 With over forty-five years of experience, Chevrolet of Naperville is ready to help you with your next vehicle purchase. Offering Naperville and Aurora drivers excellent finance options, Chevrolet of Naperville can get you pre-qualified for auto financing from the comfort of your own home. Our full service auto finance department can make your car buying process easier with a car payment calculator and a host of Chevy rebates and incentives to put you in a new car, truck, or SUV. Shop confidently at Chevrolet of Naperville.